What shall fill this hollow void in my heart? Basketball? Baseball? Hockey? Those are like methadone to a heroin addict; it gives some semblance of fulfillment, but the yearnings are still there. I try to look forward to weekend activities and maybe the best Sunday night shows on premium cable, but they provide little relief. If anything, they’re a constant reminder of what I’m truly missing in my life. The roars, the smells, and the undeniable rush cannot be duplicated this easily. 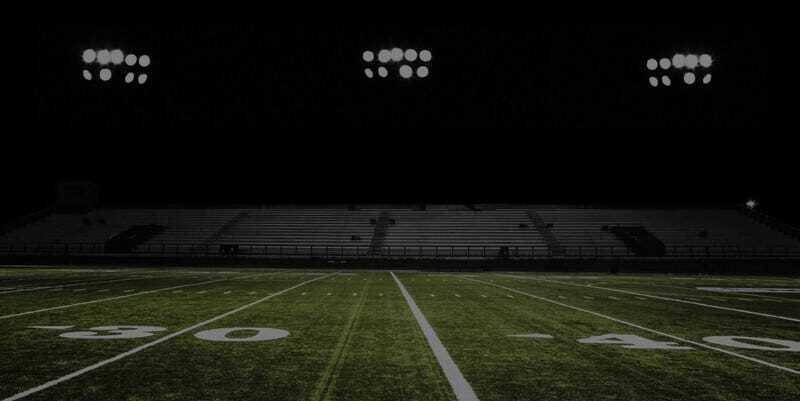 There aren’t any Friday night lights. Saturday has no fight songs. Sunday is silent. Mondays are now just Mondays. The draft is a glimmer of hope to any team that didn’t win the big one. Will we get a new star, a shining beacon to which we shall follow, or a Leaf destined to be crushed under the pressure? Did my college pick up enough talent from grade school to fill our ranks with victorious efforts? Only time shall tell, but time is my enemy. No College Gameday, no MNF, no Joe Buck and Troy Aikman getting on my nerves. No award-winning tailgate parties in the stadium parking lot, no heckling zebras for bad calls. No hope on the horizon. No hope anywhere. The dark times are upon us. Only the team activities that accompany the sweltering heat of August can bring us light, and it cannot come soon enough.